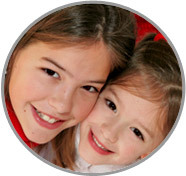 Hiring a Long Island Live In Nanny from ABC Nanny Source can help keep any household running smoothly. Brittany loves being a Long Island Live in Nanny because she enjoys the close relationships she is able to build with the children! "My life revolves around working with children! I enjoy working with children of all ages. For those children who are of school age, I am willing to drop them off/pick them up from school, as well as drive them to their activities. I am more than willing to provide homework assistance and tutoring services as well, if needed. For those children who are not of school age, I would love to provide them with engaging activities that are intellectually, emotionally, socially, and physically stimulating! If I was asked to describe in one sentence the reason I have chosen to be in the Long Island Live in Nanny profession over any other it would have to be because I love establishing close relationships with children that enable me to provide them with activities that are not only fun and engaging, but that are also stimulating. I have been serving in some form of childcare experience for over 4 years and can honestly say I adore what I do! I feel the children are in need of someone who will care for all of their needs, both physically and emotionally, as well as someone who will provide them with fun and interactive activities that provide intellectual, emotional, and physical development as well as appeal to their natural curiosity. My goal as a Nanny is first and foremost, to ensure that the children feel comfortable with me. This involves getting to know the children needs and likes. I will interact with them in a fun, age-appropriate, and developmentally appropriate way! I am willing to do housekeeping that includes preparing children’s meals, picking up children’s toys, making children’s beds, cleaning children’s laundry, and vacuuming children’s bedrooms and play areas. Activities that I would like to incorporate in the daily plan for the family I care for would include children’s needs (such as bathing, feeding, etc.). I will also engage the children in educational activities (such as a variety of developmentally-appropriate and age-appropriate activities that promote literacy and numeracy development), activities that promote physical development (such as playing outside in the yard and at local parks), and activities that promote creative development (such as writing plays with the children. )I will also engage the children in activities during their free time that enhance their intellectual, emotional, social, and physical development. If asked to describe the perfect family seeking a Nanny like me I would hope they would be communicative!" "I have known Brittany for four years and have always considered her very professional, caring, and committed to children!. She has a lot of childcare experience, and watched many children in her hometown as well as in the college-run preschool. Her degree in elementary education with early childhood certification has also exposed her to numerous situations involving children in an educational environment where she effectively managed large numbers of children and used classroom-appropriate discipline to accomplish her educational objectives. Brittany is very qualified to be a nanny and has a kind, fun, and dedicated personality. I believe that any family who is privileged to have her care for their children as a Long Island Live in Nanny would be lucky!" "Brittany maintained my routine with both of my children! She fed them, bathed them, and played games with them. She kept them very entertained and would take them places for me if I needed her to. Brittany is my first choice when it comes to caring for my children! She is very honest with me and communicates very well. She has a very sweet personality and my children absolutely love her. I have no anxiety when I leave the house because I know I can trust her as a Long Island Live in Nanny!" 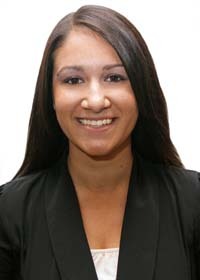 "Brittany is a well rounded individual who has always fulfilled the job requirements we set forth! Brittany began working for us when our son was born. She is a very diligent person and a respected role model for both of my children. She is also highly trained academically, as she holds an education degree that will no doubt be valuable to any family. I strongly recommend her!"